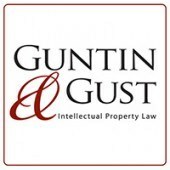 Guntin & Gust is seeking highly skilled and productive IP Prosecution Paralegals and Patent Administrators. As a Paralegal you will prepare written correspondence to clients and foreign counsel, perform docketing, manage client portfolios, generate filing documents, generate status reports and interact with clients concerning routine matters. As a Patent Administrator you will work closely with the paralegals and the office manager to perform tasks associated with patent prosecution and administration. Such tasks may include, for example, entering prior art search results into our docketing system, downloading prior art references into our file system, generating draft outlines for the attorneys to use during client calls, entering items from timesheets into our billing system, and so on. The firm will provide training so that a patent administrator who is talented and motivated to learn new and challenging tasks can eventually grow into a paralegal position. Each position requires a team player who works well independently and must be comfortable working with attorneys and staff at all levels. The position also requires initiative and flexibility in handling a variety of responsibilities. We offer full-time employees full benefits paid by the firm and a competitive compensation package. Our firm is ideal for motivated and detail oriented candidates with a strong work ethic. A Bachelor’s Degree is required for either position. An accounting or business background is a plus. For Paralegal status, at least 2+ years of experience in IP practice at a law firm is required. For Patent Administrator status, 2+ years in a professional field is required - experience in IP practice would be considered a plus. Apply at: https://www.ggip.com/careers/. Please include a resume and academic transcripts with your application. 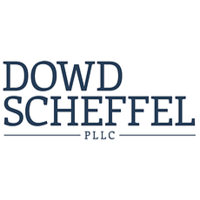 Patent Attorney, Patent Agent, or Technical Advisor – Law Firm – Fairfax, Va.
Muncy, Geissler, Olds & Lowe, P.C. seeks one (1) electrical and one (1) chemical patent attorney, patent agent, or technical advisor. Applicants must have 2 years of experience and an undergraduate degree in an applicable field, and preferably have an advanced degree such as a PhD, LLM, or JD. The chemical position requires a background in chemical engineering, such as organic chemistry, inorganic chemistry, physical chemistry, solid-state chemistry, biomolecular chemistry, electrochemistry, and/or industrial chemistry. Specific areas of expertise could include semiconductors, organic and inorganic chemical products, pharmaceutical chemistry, materials science, compositions, catalysts, polymer chemistry, nanomaterials, etc. In addition, the ability to work on prosecution of mechanical patent applications would be beneficial. The electrical position requires a background in electrical engineering. Specific areas of expertise could include electrical circuits, semiconductor devices, computers, data processing, transistors, active solid-state devices, control systems, electrical resistors, electrophotography, energy storage, radiant energy, nanotechnologies, optics, sensors, signal and image processing, etc. Job duties include drafting applications, drafting claim amendments, preparing responses to office actions including addressing 35 USC 101, 112, 102, and 103 rejections, preparing appeal documents such as appeal briefs, reply briefs, etc., conducting interviews with Examiners, preparing opinions, reviewing outgoing client correspondence and USPTO submissions, complying with USPTO and MGIP rules and regulations, and other projects on an as-needed basis. Interested applicants must submit a cover letter and resume to careers@mg-ip.com. We are located in the Washington D.C. metropolitan area. Applicant will preferably work on-site in our Fairfax office, but a remote position could be considered for the ideal candidate. Muncy, Geissler, Olds & Lowe, P.C. provides client counseling in the field of intellectual property law, including the electrical, mechanical, chemical, biotechnology, electronic, wireless technology, design, and other fields. Most of our attorneys have science or technical degrees, and many have experience working in industry. In addition, a number of our attorneys worked as patent examiners at the United States Patent and Trademark Office before practicing law. We provide legal services to large domestic and foreign corporations and to a wide range of mid-sized and start-up organizations. Our technical, business, and legal experience allows us to assist our clients in obtaining protection for their intellectual property in an efficient and cost-effective manner. Patent Attorney (M.E. / E.E.) 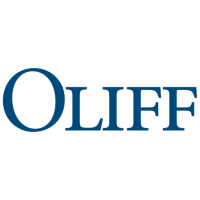 – Large Law Firm – Alexandria, Va.
Oliff PLC, a full service IP Law firm with offices in Alexandria, Virginia, is seeking Patent Attorneys with a background in Electrical Engineering or Mechanical Engineering or closely related fields for the Alexandria office. Background in optics a plus. Applicants should have at least two years of patent prosecution experience in a law firm, and patent drafting experience required. Positions involve all aspects of patent prosecution, with opportunities for increasing levels of responsibility and movement into other areas of our IP practice. Competitive salary and benefits package. Oliff PLC is an equal opportunity employer. To apply, please email hr@oliff.com. Please submit a cover letter and resume for speedy consideration. Sandvik Hyperion is seeking a Patent and Trademark Administrator / Paralegal. In this role, you will be part of the Legal team responsible for handling all aspects of the company’s Intellectual Property. Maintain docketing database for US and foreign patents and trademarks. Review, monitor and attend to deadlines on IP/legal dockets. Prepare filings and other IP/legal documents for the patent/trademark office. Organize and help facilitate IP portfolio reviews and invention disclosures. Maintain records of contracts, non-disclosure agreements and other legal documents. Support IP and legal professionals in the company. Participate and conduct training as and when required. Create and foster a “Safety First” culture. Conduct business in an ethical manner in compliance with the company’s policies. Knowledge and understanding of Intellectual Property processes (US &PCT) is essential. Exposure to systems handling trademarks is highly desirable. Experience with database systems like CPI, FoundationIP etc. is desirable. Experience with foreign filings is preferred, but not necessary. Strong computer skills with Microsoft Office, Adobe etc. Self-motivated and adept at multi-tasking and prioritizing to meet strict deadlines. 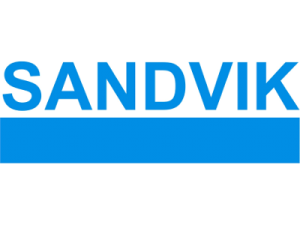 To apply, please visit this website: https://www.home.sandvik/en/careers/. 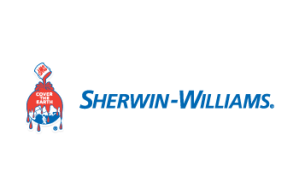 Intellectual Property/Patent Paralegal – Large Corporation – Minneapolis, Minn.
Sherwin Williams is seeking an Intellectual Property/Patent Paralegal. The Intellectual Property/Patent Paralegal and Trademark position is responsible for providing legal and administrative support to in-house IP counsel. Legal support includes, without limitation, those tasks and responsibilities generally performed by IP paralegals in law firms and corporate legal departments. Acquire and maintain knowledge of company systems, tools and processes and procedures related to the documentation and protection of IP assets worldwide. Collaborate with business units and corporate departments on the collection, preparation and filing of documents and related correspondence for IP assets. Assist attorneys with IP filings, correspondence and docketing and daily practice management. Possess and maintain knowledge of systems and procedures for protection of IP assets with government and administrative agencies worldwide. Conduct computer searches to determine availability of proposed trademarks. Prepare and file domestic trademark applications, affidavits and renewals. Coordinate with foreign counsel to file foreign trademark applications, affidavits and renewals. Prepare documents necessary to assert or defend trademark oppositions and cancellations. Monitor U.S. publications for potential infringement of the Company’s trademarks. Maintain electronic docketing system for trademark activities. Docketing (including processing IP communications to and from outside/foreign counsel and the USPTO and docketing due dates as necessary), document preparation (including filing papers, draft responses, information disclosure statements), electronic filing, foreign and international IP filings (including corresponding with foreign associates), coordinating annuities, assisting attorneys with IP filing metrics, cost reduction projects and internal process efficiencies (including maintaining a best practices handbook for IP matters). Administrative support may include, without limitation, the oversight and use of electronic matter management, docketing, billing and budgeting systems, the processing of new matters and the preparation of various reports and analyses. More than five years of job-related experience. To apply, please visit this website: https://jobsearch.sherwin.com/en/job-description?jobNumber=17000HMQ. I.P. Paralegal – Large Corporation – King of Prussia, Pa.
Based at Arkema’s Corporate Offices and R&D Center in King of Prussia, PA, the Paralegal focuses on the delivery of high-quality, cost-effective legal services to the Senior Vice President & General Counsel, Deputy General Counsel - Intellectual Property, and patent and trademark services to the Intellectual Property Attorneys, their clients and projects as assigned. This position requires knowledge of legal, patent and trademark procedures, processes and terminology. The Paralegal, who will be part of a two person team, must be proficient with the filing process for intellectual property matters, as well as other procedures in the Intellectual Property area. Part-time applicants will be considered. Maintain patent and trademark databases and dockets for all pending and granted patents & trademarks, including constructing and generating reports requested by attorneys and business units. Maintain Intellectual Property support: review and recommend activities, technologies or processes to enhance productivity and reduce costs. Review, docket and assignment of correspondence from the U.S. and foreign patent offices worldwide. Deliver correspondences to appropriate attorney and make suggestions, when appropriate, on required response. Correspond with foreign agents on various patent matters including responsibility of all patent annuities. Review patent family files for examination reports and prior art citations. Provide foreign agents with results of the foregoing. Instruct Administrative Assistants to prepare and file supplemental information disclosure statements with the U.S. Patent Office based on foreign examination reports. Review formal papers for new patent applications to be filed in U.S. Patent Office for completeness and accuracy. Keep abreast of changes to patent and trademark laws to maintain knowledge of changes in the administrative procedures required. Manage the docketing of invention disclosures. Assist with divestiture, acquisition, name change and assignment matters as they relate to intellectual property. Prepare the Intellectual Property Department Monthly Report. Provide information to business units regarding budgeting of patents and trademarks. Initiate and carry out the foreign filing process, including the filing of foreign patent applications. Correspond and follow-up with business unit management and foreign agents. Handle the payment of annuities required to maintain Foreign Patent portfolios. Monitor and request funding for USPTO Deposit Account. Perform trademark searches and provide opinions on availability to the business units. File new trademark applications worldwide and renew of existing registrations. Prepare responses and documents required for responding to trademark office actions worldwide. Review Trademark Gazettes and watch service notices for possible infringements of trademarks. Assist outside counsel in trademark infringement proceedings. Maintain the title of trademarks in the U.S. and worldwide, including recording name changes and assignments. Professional image and accountability required. To apply, please visit this website: https://career5.successfactors.eu/sfcareer/jobreqcareer?jobId=27821&company=ARKEMA&username=. IP Prosecution Specialist or IP Secretary – Law Firm – Washington, D.C.
Jefferson IP Law, a fifteen patent lawyer/patent agent law firm, is seeking a full time paralegal/legal assistant to work directly with senior partners and international clients in intellectual property matters. College degree, outstanding academic achievement, attention to details, highly-organized, analytical skills, strong writing and proofreading skills, and the ability to work independently are a must. Experience is preferred but open to entry-level recent college graduates. Healthcare, 401(k), life insurance, STD, LTD insurance, fringe benefits, etc. To apply, email a cover letter and resume to Michael Shin at: mshin@jeffersonip.com. Please do not respond if you are a third party. I.P. 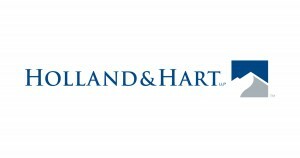 Specialist – Large Law Firm – Denver, Colo.
Holland & Hart is seeking an IP Specialist (a hybrid patent prosecution paralegal/patent administrator) to support their dynamic, growing electronics-focused patent practice in Denver or Boulder, CO. We represent some of the largest and most innovative technology companies in the world, and have a unique, collaborative environment focused on excellence, teamwork, and work/life balance. We offer excellent salaries, outstanding benefits, and an energizing, professional work environment. Has exceptional attention to detail and proofreading skills. Is motivated to excel with a positive, team-oriented attitude. Has a strong work ethic and prefers to keep busy. Is able to quickly learn and comprehend complex and highly-technical concepts and processes. Has superior oral and written communication skills. Thinks critically to understand how each task fits into the broader workflow. Always seeks to maximize the efficient use of technology available and strives to make tasks easier and more efficient. Is proficient in the Microsoft Office suite of products (Outlook, Word, Excel, and PowerPoint are requirements, Visio is a plus). Wants to be part of, and would thrive in, a dynamic, professional, growing patent practice. Qualified candidates may submit a cover letter and resume to BWFitzgerald@hollandhart.com No phone calls please. Foreign Patent Specialist Paralegal – Small Law Firm – Rancho Bernardo (San Diego), Calif.
Gazdzinski & Associates, PC, a San Diego (Rancho Bernardo) intellectual property law firm, is seeking Foreign Patent Specialist Paralegal to join our growing team. Candidate must be experienced in foreign patent prosecution, including preparing and filing PCT and foreign patent applications, and related formality requirements. Two or more years of foreign filing experience preferred. Candidate must have knowledge of foreign patent rules/regulations and have experience working with foreign patent offices and attorneys. Qualified candidates will possess the ability to work as part of a team in a deadline-driven and fast-paced environment and possess good oral and written communication skills. U.S. patent prosecution experience a plus. Competitive salary and benefits. Salary commensurate with experience/knowledge. Qualified candidates should submit a resume and cover letter to recruiting@gazpat.com. Our law firm is currently seeking a qualified applicant to fill the position of Legal Assistant/Paralegal. The Legal Assistant/Paralegal will be responsible for managing day-to-day operations of the law firm, including carrying out administrative services, providing support to the legal team along with preparing and filing legal documents with the USPTO and also foreign patent offices as well as corresponding with foreign local counsel. The ideal candidate for this position has a strong work ethic, exceptional problem solving skills and is comfortable working in a fast-paced and dynamic workplace. To apply, please email Marisa Robinson at mrobinson@tumeyllp.com. IP Secretary – Law Firm – Troy, Mich.
Reising Ethington P.C. is looking for a full-time IP Secretary. Since its founding in Detroit in 1865, Reising Ethington has specialized solely in the practice of intellectual property (IP) law. Areas of expertise include IP prosecution and litigation, managing worldwide patent and trademark portfolios, trade secrets, licensing and other IP-related agreements. The firm represents some of the world's most innovative and foremost IP owners: automotive manufacturers and suppliers, medical technology companies, aerospace companies, universities, industrial equipment makers, robotics companies, and consumer product companies. Reising Ethington makes it a priority to attract great employees and to keep them. This is evidenced by the professionalism and long term stability of our work force, from our attorneys to our staff. In addition to competitive wages, we offer many other benefits including, but certainly not limited to, competitive health care coverage, paid time off and a profit sharing plan for retirement. If you meet the requirements above and believe that you would be a great long term contribution to our team, we would love to hear from you. To apply, please email Henriett Strebe at STREBE@REISING.COM. Patent Prosecution Secretary – Law Firm – Alexandria, Va.
Buchanan Ingersoll & Rooney PC is recruiting for a Patent Prosecution Secretary in their Alexandria, VA office. The Patent Prosecution Secretary will support members of our Intellectual Property Group. Performing general secretarial duties including but not limited to preparing routine correspondence, reading and routing mail, file maintenance, and screening attorney's incoming telephone calls. 3+ years of patent prosecution secretarial experience with domestic and foreign patent prosecution preferably in a law firm environment. Display excellent knowledge of and the ability to interpret and utilize current domestic and foreign patent prosecution procedures, correspondence and documents. Ability to prepare USPTO filings, draft correspondence to clients and enter attorney's time utilizing proper grammar and accurate spelling. Ability to work as a team with your peers and attorneys. Knowledge of and proficiency in using Microsoft Word, Excel, and Outlook. Typing speed of 60 - 70 WPM; ability to produce accurate and attractive letters, USPTO filings, documents and reports. Good proof reading and editing skills - attention to detail is a must. Experience working with Lecorpio a plus, though not required. To apply to this position visit: https://careers.bipc.com/Default.aspx?Tab=DDB54A17-24F1-480A-8FE4-7E521F94C2FF&cssUrl=true&Requisition=16111. We are an Equal Opportunity Employer. At Buchanan Ingersoll & Rooney PC, working together - to serve clients and to serve each other - is what we're all about. Our Firm has multiple offices in Florida, New Jersey, New York and Pennsylvania, as well as offices in California, Delaware, North Carolina, Virginia and Washington, D.C.; we are always looking for talented professionals to join our team. Patent Administrative Assistant – Small Corporation – Victor, N.Y.
LSI Solutions is seeking a Patent Administrative Assistant to apply his/her experience, knowledge, organization skills, and communication skills to work closely with LSI’s in-house patent agent to facilitate and support intellectual property efforts. The Patent Administrative Assistant executes administrative duties for the Intellectual Property Team, ensuring that an accurate and effective IP docket is maintained, while enabling efficient usage of patent practitioner time. Activities will be of a scheduled and unscheduled nature. Travel may be required, but is not anticipated. Position may involve frequent & prolonged standing and some lifting. Flexibility and dedication to work towards time sensitive deadlines. Experienced in communicating professionally with outside counsel (both U.S. and foreign), mainly by email, but also by telephone. At a minimum, a High School Diploma is required. Successful completion of secretarial/administrative classes or equivalent experience is preferred. A B.A. or B.S. degree (preferably secretarial, paralegal, or administrative-related) is also preferred, but is not necessary. The successful candidate will possess above-average grades (especially in English and Writing), excellent communication skills, a good work ethic, and an ability & willingness to learn. An active Notary Public license is preferred, however licensure can be obtained after hiring. Candidate must meet certain legal requirements to obtain licensure. Apply online by visiting this link: https://workforcenow.adp.com/jobs/apply/posting.html?client=lsisol#. Scientific Advisor / Patent Agent – Law Firm – San Francisco or Palo Alto, Calif.
Baker Botts L.L.P. is currently seeking a Scientific Advisor / Patent Agent. As part of the firm’s Intellectual Property team, this position is responsible for performing highly complex and sensitive client work requiring a high level of professional capability and skill. The primary responsibilities of this position include preparing draft patent applications and draft response to communications from the USPTO. This role assists attorneys in the delivery of quality legal services to clients in an efficient and cost effective manner. The person in this position should have at least a bachelor’s degree in computer science, computer engineering or electrical engineering, be a self-starter and have a can-do attitude, possess excellent administrative skills, must have excellent academic credentials, experience writing patent applications. The person in this position must be qualified to sit for the patent bar, and preferably already be licensed to practice before the United States Patent and Trademark Office. • Prepare draft patent applications in particular incorporating scientific aspects of inventions. • Prepare draft responses to communications from U.S. and foreign patent offices with regard to factual and other scientific matters. • Discuss the scientific aspects of inventions with clients and inventors and thereafter provide attorneys with a report on those discussions. • Communicate with, and act as liaison between, inventors and Patent & Trademark Office in connection with all aspects of patent application process. • Evaluate and report on the technological aspects of inventions and other scientific matters. Advise attorneys on general and specific technologies and investigate those technologies as needed. • Draft, organize, analyze, review and summarize documents. • Review and analyze client and other files. • Conduct regulatory and factual research. • Communicate face-to-face, by e-mail and by telephone with staff, clients, vendors, and PTO and agency personnel. • Coordinate workflow with outside service providers. • Organize and prioritize numerous tasks and complete them under time constraints in an efficient and cost effective manner. • Identify and analyze complex patent issues and problems and implement solutions. • Interact professionally with clients, lawyers, and employees at all levels and provide information with ordinary courtesy and tact while safeguarding confidentiality. • Provide direction and guidance to legal support staff on specific issues, as appropriate. • Stay abreast of technology trends and make recommendations regarding technology needs. • Undertake continuing education, and remain abreast of current patent prosecution issues and trends, as required to maintain appropriate accreditation in the field. • Ability to work well with internal and external clients. • Strong aptitude of working with the USPTO. • Strong organizational skills, problem solving skills and attention to detail. • Excellent strategic planning and organizational skills. • Advanced working knowledge of database research principles, methods, techniques, and resources. • Ability to analyze, interpret, and draw inferences from research findings, and prepare reports. • Ability to provide operational guidance and leadership to technical staff in area of specialty. • Strong investigative and problem resolution skills. • Knowledge of principles, procedures, and standards for drafting a range of complex patent documentation in area of expertise. • Ability to effectively communicate complex factual, technical information. • Ability to develop and maintain recordkeeping systems and procedures. • Ability to use independent judgment and to manage and impart confidential information. • Strong interpersonal skills and the ability to work effectively with a wide range of individuals. • Knowledge of current and emerging developments and trends within area of expertise. • Ability to organize and prioritize numerous tasks and complete them under time constraints. • Ability to learn and capably use various software packages. • Ability to operate standard office equipment. • Knowledge of and use of time management and project management strategies. • Ability to facilitate individual and group meetings. • Ability to travel to private and public buildings via private or public conveyance to assist in attending to client needs on legal matters. • Within the resident office, there is daily contact with partners, associates, paralegals, and office personnel at all levels. There is a moderate amount of contact with these same groups in other offices. • Outside the Firm, there is a moderate amount of contact with clients, vendor representatives and agency personnel. • Must be able to function in a standard office environment. • Located in a comfortable indoor area. Any unpleasant conditions would be infrequent and not objectionable. • This position is preferably a full-time position requiring a 5-day work week and standard hours as outlined in the firm policy manual. • Additional hours will be required when necessary to meet established deadlines or stay current with occasional peaks in workload. Flexibility in working overtime evenings and weekends as required by assigned or overflow work. • May require local and out of town travel. • If resident office is San Francisco, may require regular travel to the Palo Alto office. To apply, visit this link: http://lawcruit.micronapps.com/v3/lc_supp_app_frm.aspx?lawfirm=75&id=5 . IP Legal Assistant – Law Firm – Silver Spring, Md. SAIDMAN DESIGNLAW GROUP has an opening for an IP Assistant. College degree, cheerful and friendly demeanor with a good sense of humor, outstanding attention to detail, exceptional spelling, grammar, and proofreading skills, excellent listening and comprehension skills, great organizational skills, the ability to be a self-starter, willingness to perform entry-level functions as well as tackle higher-level projects, and a flexible “can-do” attitude. You must be proficient in Microsoft Office products (Word, Excel, Outlook). Key responsibilities would include assisting in the preparation and filing of patent, trademark and copyright documents, including processing new applications, preparing related documents and correspondence, and performing other administrative duties. We offer exceptional benefits, including a commuting allowance, health insurance with a health savings account, a 401(k) and profit sharing plan, and a liberal leave policy. Please send your: (1) resume; (2) cover letter; and (3) salary requirements to: recruiter@designlawgroup.com. No phone calls please! We look forward to hearing from you! An equal opportunity employer. SAIDMAN DESIGNLAW GROUP is a boutique intellectual property law firm located in downtown Silver Spring, 2 blocks from the Silver Spring Metro. We specialize in design law - protecting and enforcing rights in the aesthetic appearance of products. Our Fortune 100 clients rely on us to develop and execute cutting edge design protection strategies. We currently have an opportunity for an outstanding full time legal assistant with 3-5 years of experience, in intellectual property. 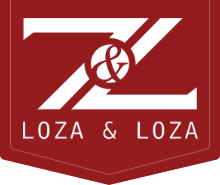 We are not your typical law firm. We are a tight-knit, team-oriented group. We work hard while we're here, but we are not here all the time; quality of life is important to each of us. Since most of our clients are out of the area, we enjoy being casually dressed. Working evenings and weekends is the rare exception rather than the rule. Workman Nydegger, a premier intellectual property law firm, is seeking exceptional prosecution and litigation summer associates (1L and 2L) for 2016. Prosecution candidates must have a technical degree and will, preferably, have already passed the patent bar or at least registered to take the patent bar. Please send resumes and cover letter to recruitment@wnlaw.com. Legal Assistant / Practice Coordinator – Law Firm – Alexandria, Va.
Lowe Hauptman & Ham, LLP requires the services of a talented Practice Coordinator to assist with the management of its largest practice. The ideal candidate will know most of the patent process, from beginning to end, have good tenure and at least 5 years patent prosecution experience. Manage Maintenance Fee Deadlines and Reminders, including payment of Maintenance Fees upon receipt of client instructions. Please send resumes to the Manager at recruiting311@ipfirm.com.